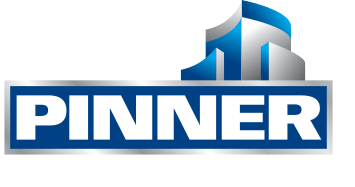 As a Project Engineer at Pinner Construction, you will be working on exciting projects in a variety of market sectors, for a variety of clients, throughout Los Angeles county. As an official Pinner Ambassador, you will be encouraged to participate in and contribute to our culture of excellence, trust and quality. As a valuable member in shaping Pinner Construction’s future, you will aid in the development of adopting innovative processes and techniques in order increase the company’s momentum moving forward. Your primary goal will be to assist the project team as an acting liaison between owners, design teams, engineers, subcontractors and consultants. This includes, but is not limited to, material procurement and schedule coordination. Through out the course of the project, it will be the responsibility of the project team and Project Engineer to ensure that the technical aspects of the project are being completed as established in the project’s specifications. By taking imitative in executing all responsibilities with expediency and accuracy, you will create value for yourself and your project. Maintain and update all sets of drawings, specifications and logs. Set up and maintain the electronic filing system for the project. Maintain, prepare and update the master CPM schedule. Understand and evaluate the means and processes of the construction project. Route and distribute all project documentation to project teams. Review, analyze and transmit all submittals for the project. Prepare the documentation for work orders, cost reports, change orders and logs. Maintain project progress photo album. Prepare and compile the project closeout documents. Document all punch list activies and work. Work in Los Angeles county. Hold either a Bachelor’s degree in Engineering, Construction Management, Business Management, Architecture or relative 2-7 years industry experience. Pinner Construction is a century old company whom has been building trust and quality since 1919. This trust has been cultivated between our employees, clients and project teams through the passion and talent of our Pinner team. We employ countless motivated and talented individuals who wish to apply their skills to some of the most meaningful, interesting and challenging project in Southern California. We encourage diversity within Pinner Construction and are an equal opportunity employer to Minorities, Females, Veterans and Disabled persons and encourage you to apply. The information contained in this website is for general information purposes only. The information is provided by Pinner Construction and whilst we endeavour to keep the information up to date and correct, we make no representations or warranties of any kind, express or implied, about the completeness, accuracy, reliability, suitability or availability with respect to the website or the information, products, services, or related graphics contained on the website for any purpose. Any reliance you place on such information is therefore strictly at your own risk. Every effort is made to keep the website up and running smoothly. However, Pinner Construction takes no responsibility for, and will not be liable for, the website being temporarily unavailable due to technical issues beyond our control.